Kill Zorro Ransomware is one more malicious program crafted by cyber crooks so they could make illegal profits from unsuspecting Internet users. The malicious program functions in a rather conventional manner. This means that it can encrypt large quantities of personal files without any notification and then ask for a ransom in return for a decryption procedure. Unfortunately, recovering data affected by a ransomware program is rarely successful. Thus, your best bet to avoid the disastrous consequences induced by the functionality of this malicious programs is to have a fully secure operating system at all times. In this report, you will find virtual security recommendations that will help you avoid Kill Zorro Ransomware or any other malware. We also provide further information regarding its functionality and a detailed removal guide that is easy to follow. During the extensive analysis of Kill Zorro Ransomware, malware experts, working at our internal labs, have discovered that this malicious program is based on an infamous Hidden Tear open source code. Our researchers are familiar with this code as other harmful programs such as Gc47 Ransomware, Fabsyscrypto Ransomware, and CryptoKill Ransomware are also based on it. So it is quite natural that the malware in question functions similarly to its mentioned counterparts. Once it successfully enters your operating system, it launches a system command that will delete all shadow copies on your system. This is done to eliminate the chances of recovering data manually. After that, it scans the contents of the hard drive. During analysis of this malware it has been discovered that it does not affect files essential to your operating system; it usually targets file types such as .jpg, .png, .bmp, .txt, .doc, .docx, .ppt, .mp3, .mp4, .avi, .xps and others. The encryption is quick and silent so very few users, if any at, are able to detect this malicious application in action. Since your data is locked using the AES-256 cipher manual decryption is an impossible task. Once the encryption procedure is over, you will be presented with a ransom note, which will inform you about all that has happened. It also asks you to pay 1 Bitcoin in return for a decryption process. While it might seem like a way to solve this problem, we highly advise you to refrain yourself from doing so as there is no way of knowing that you would regain access to your data. That is so because developers of this program are not obliged in any legal way to unlock your files even if you happen to pay up. Your best bet to limit the data loss imposed by Kill Zorro Ransomware is by executing its complete removal as soon as possible. If you wish to have a fully secure system at all times, there are a few precautionary steps that you need to take. It is crucial to practice safe browsing habits. Because in a lot of cases Kill Zorro Ransomware like a lot of other ransomware programs is spread via spam e-mail campaigns, we highly advise you to stay away from all e-mail attachments that are sent to you by unidentifiable sources. This way you will significantly reduce the chances of infecting with some unknown malware. We also advise you to avoid suspicious third-party download websites since they are linked to malware distribution. Often such web pages host setup files filled with questionable and even potentially malicious software. Furthermore, you should always learn as much as possible about a program that you want to have active on your before even downloading it. This is important since manipulative marketing techniques are extremely prevalent nowadays. Finally, install a professional antimalware tool if you do not have one already. Such a tool is the most important part of your overall virtual security as it can detect and terminate any virtual threat automatically. Taking these seemingly simple preventative steps will make your operating system virtually unbreakable. The removal of Kill Zorro Ransomware should be your utmost priority if it is ever found up and running on your personal computer. While following the instructions do not skip any steps as that could lead to an incomplete removal. In a worst case scenario, just a few leftover files could prove to be more than enough to silently Kill Zorro Ransomware. 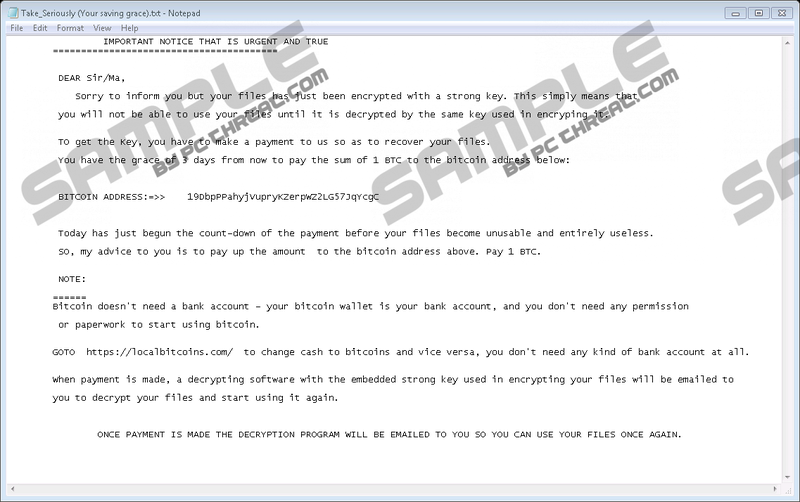 Thus, our research team highly advises you to check your operating system for any suspicious traces that might be related to a ransomware in question once you are done with the instructions that we present below. This way you will know that the whole procedure has been successful. If you wish to delete this malware in a fully automated manner, be sure to use a licensed antimalware tool for such a task. Select a malicious .exe file and remove it. The name of this file could be random. Quick & tested solution for Kill Zorro Ransomware removal.